while picking four quarts of strawberries. 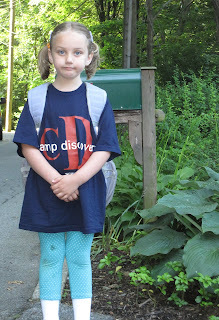 to take to day camp. Ah, summer. Wet towels, ripe berries. What more could one want? 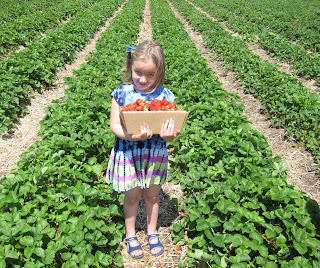 And I really dig the girlie's strawberry picking ensemble. The girl is stylish. projects, camp, and berries, oh my! I have not had much luck with growing berries in recent years and we missed the berry picking this year--too much rain. Luckily we have the farmer's market and Wegmans had real, farm berries this week. The girls have already demolished one quart. Are your berries sweet enough for eating? 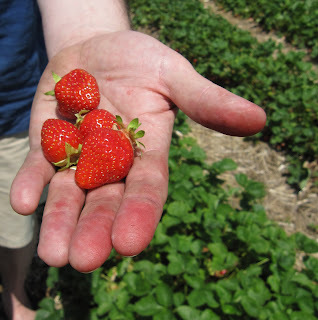 We've often found the pick your own berry varieties make good jam/cooking berries, but aren't much for eating. I am dying over the look on your daughter's face. It looks EXACTLY like a shot I have of me at that age. mmmm, I love fresh berries in the summer! Ooh yum. Fresh picked berries. We intended to go black berry picking but missed the window (month of May or early June, latest). Boogers. Looks like the perfect way to get fingers dirty. LOVE the look on her face. So excellent. 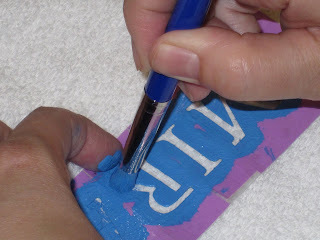 That stencil idea is cool. I need to do that. That picture of your daughter in the strawberry patch is so sweet. You always get such cool shots. Love the adorably timeless shot in the strawberry fields -- I think you could fiddle with it a bit and make it seem vintage. Looks exactly like a pic of my mother from the 1940s! Thanks for sharing and connecting with such wonderful memories. We've been having some purple hands from blackberries. Yum! MMm. Fresh strawberries, blue paint and white towels. What else could I want? A mailbox at the end of the lane, that's what I could want. Now, where are our strawberries? I'd like some cooler weather, but I don't think I'm going to be getting that any time soon!